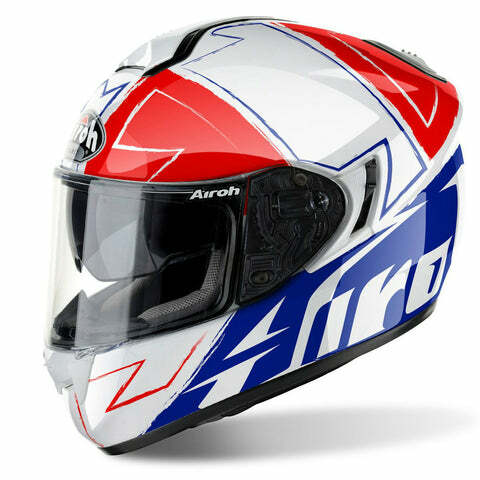 Airoh released the ST 701 as the sport touring equivalent to the GP 500 race helmet, matching it in performance but also offering a stack of features that make it comfortable and useable out on the road, whichever road that is. 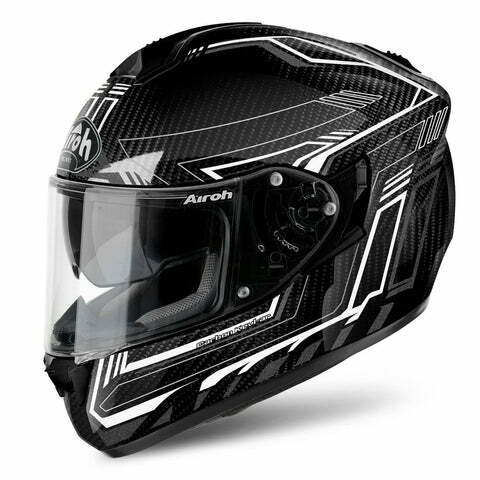 The ST 701 Way is constructed on a full carbon fibre shell making it one of the lightest helmets in its category weighing only 1,280g +/- 50g and providing additional benefits for getting the right fit like a two shell size design. Heavy research was put in to developing a 4 layer density EPS liner that not only makes your ride more comfortable but also gives optimum protection in the event of a crash. 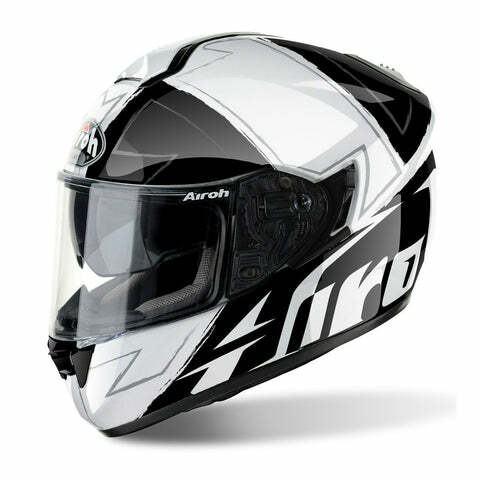 Apart from its aerodynamically high tech outer shell, the ST 701 also comes with an internal sun visor that makes all the difference when you're out there exploring different terrains and weathers in every corner of the earth. 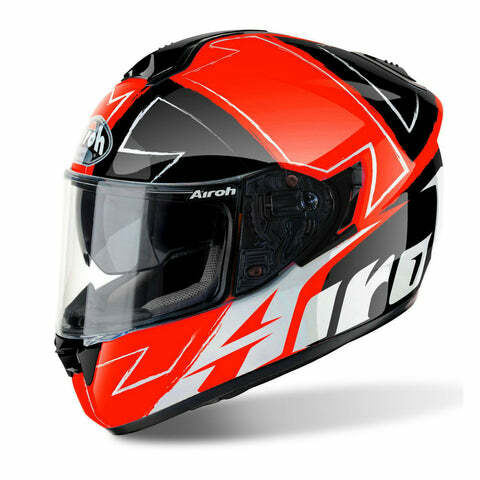 As with all good helmets this model is provided with a Pinlock visor to prevent fogging up, plus an effective venting system that works wonders on warmer days. 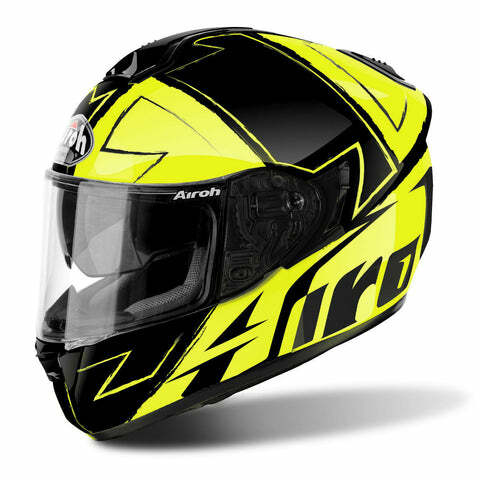 The ST 701 Way is constructed on a HPC (High Performance Composite) shell making it one of the lightest helmets in its category weighing only 1400+- 50g and providing additional benefits for getting the right fit like a two shell size design. Heavy research was put in to developing a 4 layer density EPS liner that not only makes your ride more comfortable but also gives optimum protection in the event of a crash.